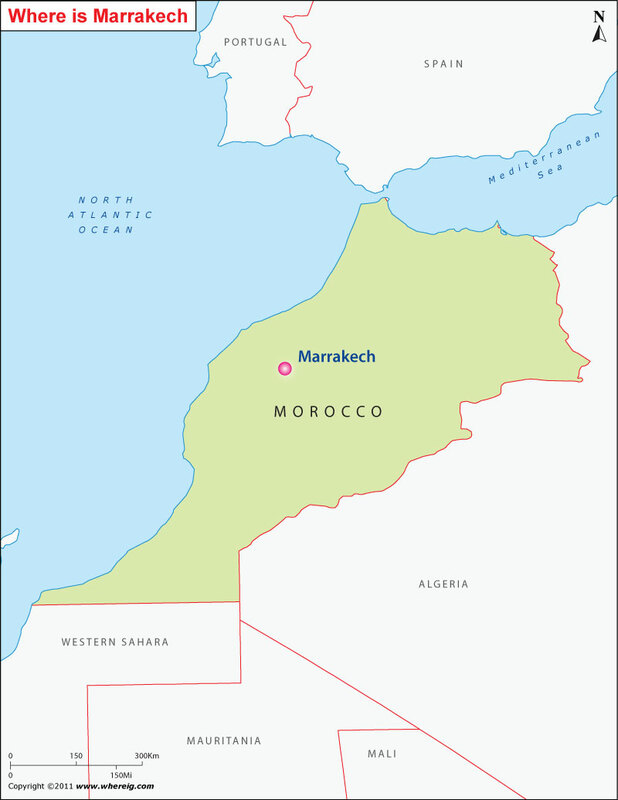 As shown in the given Marrakech location map that Marrakech is located nearby the foothills of the snow-capped Atlas Mountains in the central region of Morocco. Marrakech is more popularly known with its nickname i.e. "Red City", it is historical city of the country that has cultural significance. Furthermore, Marrakech is consists of two parts i.e. the medina - it is the older one and fortified city and Gueliz - it is the modern part of the city Marrakech. Surprisingly, Marrakech has the largest traditional market (known as souk in local language) in Morocco. It has also a square, which is being considered as the busiest square in Africa. Interestingly, the square infused with story-tellers, water sellers, acrobats, dancers and musicians. In the night, food stalls open nearby the square that turns it into a huge busy open-air restaurant.